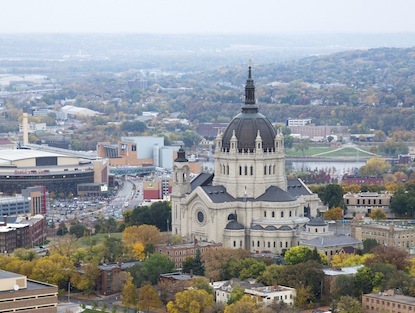 Guided tours, approximately one hour in length, are offered at the Cathedral of Saint Paul with a Cathedral docent Tuesday through Friday at 1:00 p.m. (except holy days and civil holidays). A suggested tour donation of $2 per person is always welcome, and will be used to support the Cathedral. Donations may be made at the Tour Desk in the main church. Those who would like to join the 1:00 p.m. tour should meet at the Tour Desk in the back of the church. Please note: As the Cathedral is an active place of worship, daily tours may be cancelled in deference to special liturgical events. All tours are subject to availability. We ask that all visitors requesting a tour come at this regularly scheduled time. Individual appointments are not necessary, unless you have a group of 10 or more that would like to join the 1:00 p.m. tour. If so, please contact the Tour Coordinator at 651.357.1327 with information about your group so that our docents can be prepared to accommodate the specific needs of your group. 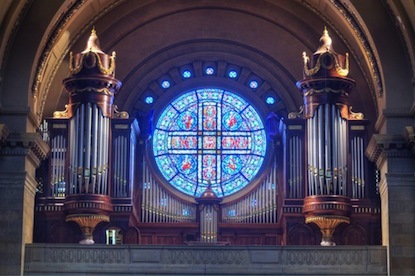 Please note that outside tour docents and leaders are not allowed to lead groups on guided tours of the Cathedral. Large groups (40+) please also call the Tour Coordinator for special arrangements. 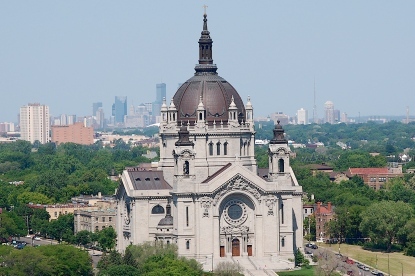 Virtually walk through the Cathedral of Saint Paul through our website, or find us on Google Maps. The 360° panoramic tour allows you to look up, down, and all around you as you "walk" throughout the Cathedral. Click the box in the upper right-hand corner of the tour image to view it in full screen mode. 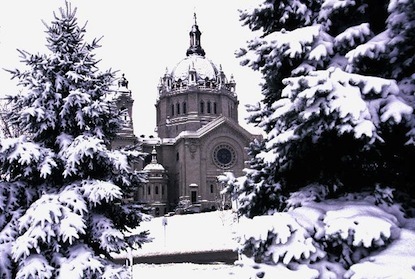 View a series of videos on your computer or on your mobile device that take you on a tour of the Cathedral of Saint Paul. Use the map to select a brief tour of any part of the Cathedral, or view them all for a full tour. Visit us on Facebook to view our photo albums. Please visit our Gift Kiosks to purchase Cathedral memorabilia: Main Church Gift Kiosk is open during Tour times (Tuesdays-Fridays, 12:30 to 2:30 p.m.). Lower Level Gift Kiosk is open Saturdays (8:30 a.m. to 5:00 p.m.) and Sundays (9:00 a.m. to 2:00 p.m.). For Gift Shop inquiries, please call 651.357.1320. 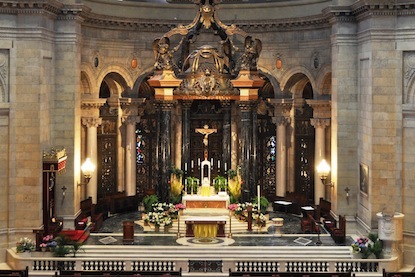 For inquiries about Cathedral events, membership, and mass intentions, please visit the Welcome Center in the lower level on Saturdays (8:30 a.m. to 5:00 p.m.) and Sundays (9:00 a.m. to 2:00 p.m.).